Every person has some story to tell and some stories are even relatable. KOCHI: When was the last time you shared a story with someone? In this gadget and app-ridden world, we often fail to engage in conversations with people around us and rather choose to stick to our mobile phones. Every person has some story to tell and some stories are even relatable. These stories are not meant to remain buried in one’s heart but ought to be shared. 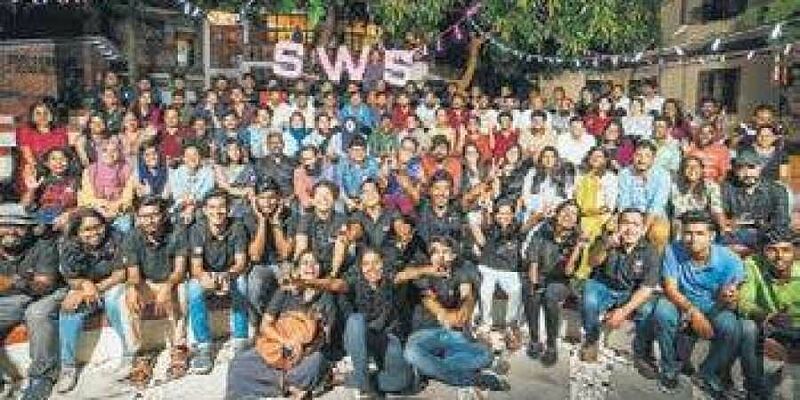 One such initiative ‘Stories Worth Sharing’ (SWS) aimed at reviving the art of storytelling conducted its first Kerala meetup at Kanthari International. This was the first-ever state storytelling session which included speakers from nine districts. The session included 20 speakers based on two categories where there were nine featured speakers and 11 selected speakers. Having conducted more than 20 sessions in almost nine districts in Kerala, SWS has been curating the best life sharing moments through storytellers. Unlike the previous SWS editions held in different cities which had a limitation of 15 participants, the latest session had more number of participants backed up with more interesting stories along with music. “This was a very special session where all speakers got a chance to come together and share their experiences. The beauty of togetherness was the main highlight of the session,” said Saroj Anilkumar, Kerala head of SWS, who was also the host of the event. Mohit Munjal, one of the founders of SWS, also participated in the event. The session witnessed some of the best life stories of speakers from different walks of life. Speakers shared stories of how they tried to impress their crush at school and what problems they had to face. Talking about the taboos ruling the society, one speaker Aparna Gopan shared how she left her home and returned home after a year to stay away from the rules imposed by the society. Another speaker shared a story of how women’s freedom is always restricted since childhood and explained an instance where a five-year-old girl child was shunned by her mother for playing on the road. At the end of the session, the participants were given a postcard as a souvenir.